Posted in: Open Mind. Tagged: Diving, Engineering, Exploration, Materials Science, Mechanical Engineering, Mechanics of Materials, Ocean, Open Mind, SCUBA, Sports, Thermodynamics. The underwater world is beautiful and mysterious and as it makes up most of the livable volume on this planet it’s natural that humans would be interested in exploring it. SCUBA diving is one of the easiest and most accessible ways to explore the world under the waves. Getting humans to stay alive and comfortable for any length of time requires some pretty intense engineering. The big problem is that humans need air. 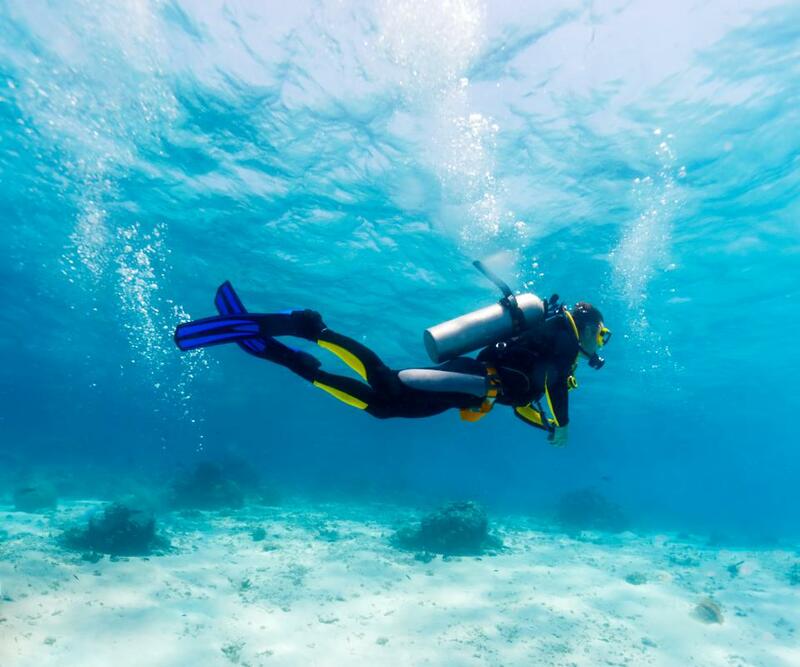 So SCUBA divers carry on their backs tanks of compressed air that they breathe for the length of the dive. The more air a diver can bring with them the longer they can stay under. The divers could either take larger tanks or try and pack more air into the tanks they already have. Really large tanks are impractically heavy and expensive so that option is out. That leaves packing more air into the tank, as more air is added the pressure increases because, for standard conditions, air follows the ideal gas law, PV=mRT. Where “V” is the volume of the tank, so that’s going to stay the same, R is the gas constant, T is the temperature which will stay constant as long as it’s filled slowly. This leaves P, the pressure of the tank. Modern SCUBA tanks are filled up to 3000 psi. That’s 3000 pounds of force on every square inch of the inside surface of the tank, or a large elephant standing on every 2″x2″ square of interior surface area. It takes some serious engineering to handle that without exploding. Keeping an open mind, and being aware of the engineering that goes into many of the things that allow humans to explore where they could never go before, from the ocean to outer space is important. Advances in materials, mathematics, computers, and physics keep pushing the boundaries so that things once thought impossible become commonplace. Keep an open mind and keep learning, the future is going to be unimaginably incredible! ← The All Mighty Hummingbird!